No saving and the somewhat long intro can make replaying the game for the other ending tedious.You seem to be able to ride up certain walls in the switch room full of toggle gates and one ending is rather short (takes about 15 minutes tops) while the other is long (60+ minutes). At least one puzzle is a bit confusing due to the red herrings. I suppose it has become the standard for this kind of horror story to leave out a lot of information, but there is definitely quite a bit to be answered. While the graphics and sound work reasonably well for many areas, there is one room where it is somewhat of a pain to deal with if you don’t switch accessories after getting the clue to solving the puzzle. 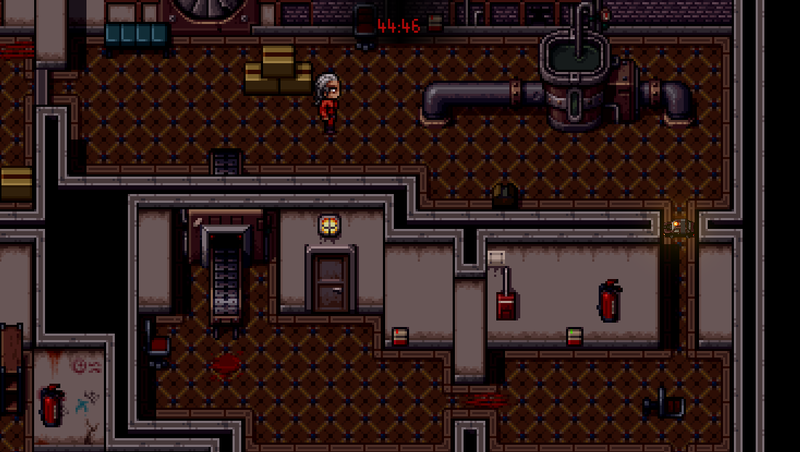 The game has some decent pacing to push the player along, but otherwise the timer feels like it forces the player to ignore the story and lore. Getting more than one ending is a bit of a pain without the ability to save, but not having saves helps with immersion. I think it would have been nice if saves had been an unlockable after getting an ending. This might be a nice game to play for a few minutes, but the game doesn’t really have much going for it otherwise as there is little reason to replay it for another ending. I was really impressed by this. It reminded me of the Saw movies, but if they were this good the reviews would be better. Operating a toy car is a great premise and most of the puzzles had just the right amount of mystery so that when you did figure it out you feel like a genius. A few were a little more obscure, I couldn’t finish the pushing statues room on the first playthrough because I had absolutely no clue what I was supposed to do with the 2 “x” spaces. Got it the second time but not being able to save was a bummer cause then I couldn't stop to think it over without losing time. Still, it’s very gripping and atmospheric and the music was perfect. Sculptor wants to make you a literal statue by drowning you in clay. You have to rely on a toy car and a remote controller to stop it and find your wife Beth. It's a slasher/SAW-like story and fits the bill a lot. Some really clever puzzles. Ed’s monologue adds to the sense of urgency even if you want to smash his face in just to stop talking too much. Some inconsistent art here and there. 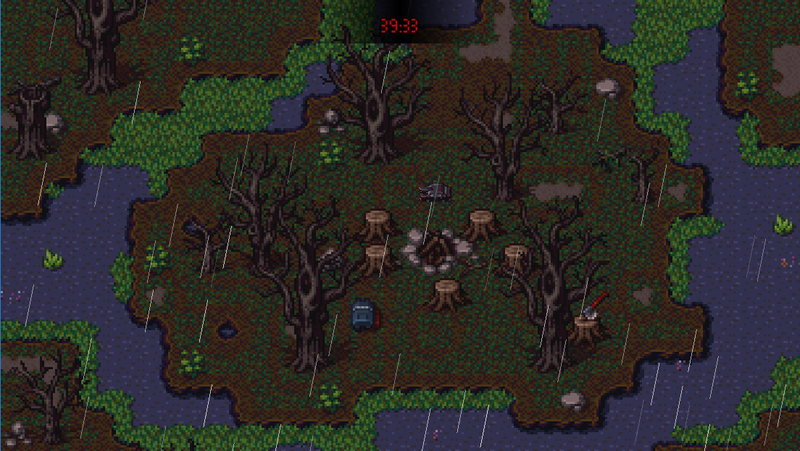 Some parts of the map needs some remapping because they don't convey information very well. For exampl like going to the shed is hard to notice at first and something I discovered 30 mintues in. Very intense atmosphere thanks to the music. Finally, a decent puzzle game. I enjoy slasher/thriller flicks a lot so this is right up my alley. Please tell me that this is a demo and there’s a chance Beth and I can escape this hell? Graphics were asset packs with some edits. The mapping was decent for the most part - some areas were a bit odd but otherwise it was okay. Writing was technically alright, and the story was decent framing but as with the characterisation, it felt a bit flat. The sound was very well done though it could have used some atmospheric additions in certain areas. The music did well, though, and helped convey the menace of the game to good effect. 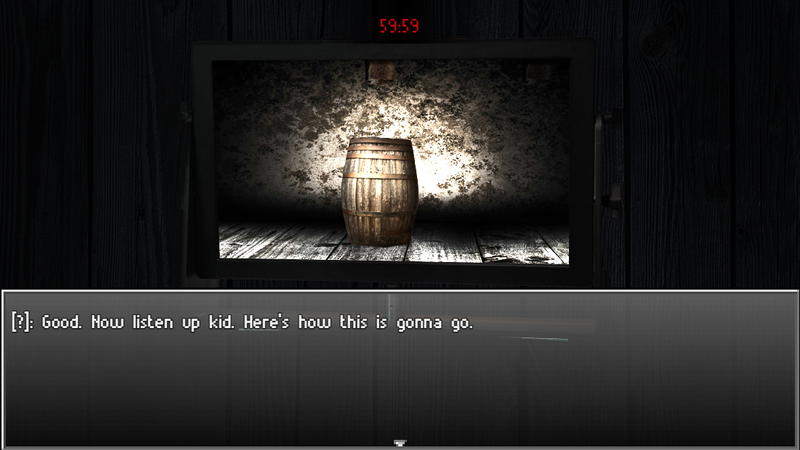 Gameplay consisted of typical escape the room examples. This meant puzzles and critical thinking, but also included enhancements in order to unlock areas. 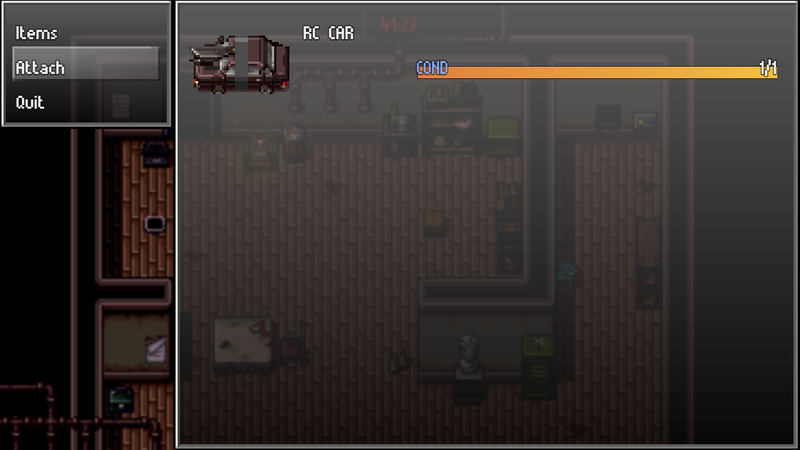 You could find items to equip to the toy car you had to drive around and interact with the world with. These items would allow you to see hidden clues, interact with certain objects and access other areas. Most environmental items had text to read about them, even if some were copied from others or they just told nothing more than "nothing interesting here". There was a timer of an hour which counted down so it became a race against the clock. I found a bug? where my first copy downloaded didn't do the right/up x3 code (I put it in and it didn't unlock the safe). Redownloading seemed to fix it, even though it was the same version. Not sure what caused it. One the one hand I like escape games a lot. They can be fun and interesting and seeing how people approach the design of them is really cool. That said, most escape the room games tend to have parts you go back for and not a lot of red herrings. This game, however, had a lot of red herrings which wasn't really fair since you wouldn't be able to piece together what to do when you were instead aiming for something else to do - especially when there was a timer in effect. There was also a large missed opportunity to expand on the character of the killer with the text from interacting - it could have been used to build up a more terrifying image of the killer, but instead we got lack-lustre lines about nothing of interest. There was also the main character who talked a lot to himself in third person - it didn't really work well and he felt very stilted in his speech. I enjoyed some aspects of the game, but there were a few puzzles were things just weren't evident. It took me forever to get the Right/Up x3 combo (the reason I didn't immediately think I had a bugged version was because it was extremely obscure to figure out how the three interacted with the directions right and up). Then there was the knife, which I didn't find because I wasn't aware I was supposed to be finding a knife (the character saying something like "Oh, I could cut those ropes if I had something sharp!" would have helped with that) and don't get me started on the paperweight - having not found the knife but getting to the paperweight area I had no idea that it even existed, so I was looking around forever for something to shove down the hole. A little more leading dialogue would have helped. The theme was escape. It did a good job both written and mechanics wise in showing that. The mechanics could have been a bit better at leading you towards solutions instead of throwing red herrings all over the place, though. I really enjoy escape room type games and logic puzzles so this entry was a lot of fun. Are there just two endings? Thank you, that's nice to hear! :) This version of the game has only two endings: one when the time runs out, and the other for completing all the puzzles and finishing the game. Multiple endings could be a nice add for this type of a game - but then again - I created this game to resemble real-life room escape games where you can only win or lose. And about the ending, I am kinda disappointed that I don't get to continue the game with Beth as my partner.....I thought pretty sure I will have to use the axe and the boat to escape the island together with Beth. It's a short and fun game btw. Nice one. Thank you for playing my game and for your comments! :) It's very nice to read that someone has given this much thought when playing my game. About the statue puzzle, I understand your thoughts about the misleadingness. Yes, the audio cassette can be interpreted in different ways; that's why I put the two X markings on the floor as hints. You wrote that nothing happened when you placed the two statues on the X markings, but to be precise, there are actually three statues that must be put in place in order to proceed. One of them is already in the correct place when you enter the room and two must be moved on the X markings. However, if you move the third one to some place else, nothing happens if the two others are placed on the X markings. This happened to one of my friends who played the game. But I guess you already figured this out since you finished the game. Thanks again, I'll put your game on my list of games to play as well! The first time finished the game, I got like 40 minutes left on the timer, and I expected once the killer leaves Ed with Beth, the timer will continue and I finally get to use the axe and the boat to escape the killer and the island altogether. But then, this is just my experience. I have played your game for more than once, so by the time I managed to finish the game, I could practically rush the game to the end. For a game that's being made within 1 day, it has accomplished a lot. I think you will make it to top 20( top 10? not sure, but top 20? sure). And if you do, believe me you should put the gameplay and puzzles you had in your mind in this game. I would be willing to try it out. I am surprised that you are putting my game on your list, since...well..you know...my game is not a puzzle game . I don't think my game will have enough any puzzles to satisfy you lol. Hey you were quite fast then, great job! When I tested the game with my friends before publishing, their time run out near the UV puzzle. That got me thinking whether I had implemented too many puzzles, but according to your answer I think the amount is quite good for now. This was very good information. About the development, I spent 1 week for writing, 1 week for graphics/audio and 2 weeks for development. Like in most gamedev projects, I had my crunch time at the end and it was that last Sunday when I created the last part of the game in one day. Phew, but I bet we all get to experience times like that every now and then. Thank you for your kind words about the game possibly reaching the top 20, that would be astonishing! I've been thinking about making a mobile release of this game as well. That might depend on how easily it gets done from RPG Maker MV; never done that before. 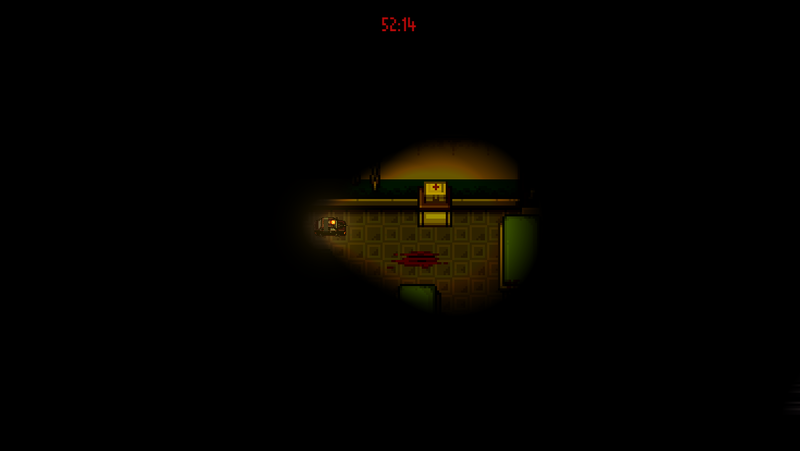 I, myself, would like to play these kinds 2D horror/thriller games on mobile, there aren't much of those on the market. I'm really liking this one so far, but for the life of me I can't figure out how to get the flashlight on the car. Any hints for dumber players? You need to find duct tape first, then you can attach various items to the RC Car. I assume you got the first puzzle completed since you found the mini flashlight. Then you have also found the audio cassette, which gives you an answer to the second puzzle. There is another locker in the room which requires a password, and the password can be deduced from the audio cassette. It can be listened by using the radio in the room. By completing this second puzzle you will get the duct tape. There is a little mathematical task hidden in the audio cassette. Read the sentences carefully (listen audio cassette by using the radio) and you will get the correct inputs (directions) for the second puzzle. I enjoyed this one a lot. You really put together an interesting set of puzzles. And they actually take some effort to figure out too! But they all make sense so it makes for a good challenge. I liked it.